Lights up the darkest season with dozens of extra-large, bright orange berries. 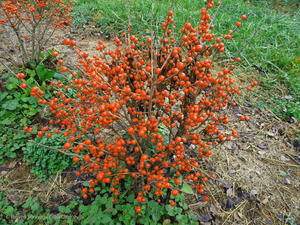 Smaller habit makes it much more landscape-friendly than other winterberry hollies. 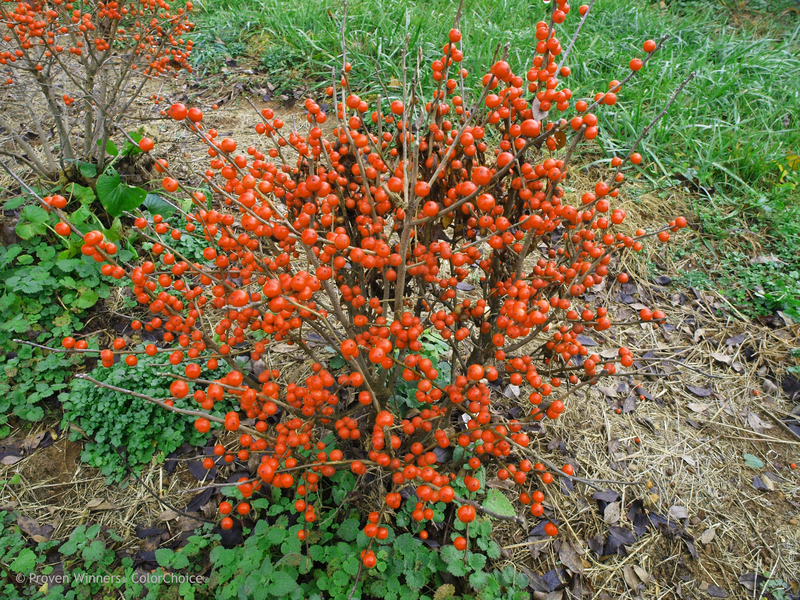 In order to get fruit, you will need to plant Little Goblin® Guy winterberry holly as a pollinator - one Little Goblin® Guy will pollinate 5-7 Little Goblin® Orange and/or Little Goblin® Red plants. Plant the male within 50' of the female varieties to ensure a heavy berry set.